This website is part of the pilot project Environmental monitoring of pesticide use through honeybees (ret PP-1-1-2018) with the acronym Insignia which has received funding from the European Union. INSIGNIA is an innovative project which will build on the wide range of expertise of the applicants developed during previous projects such as the COLOSS “CSI Pollen project”. 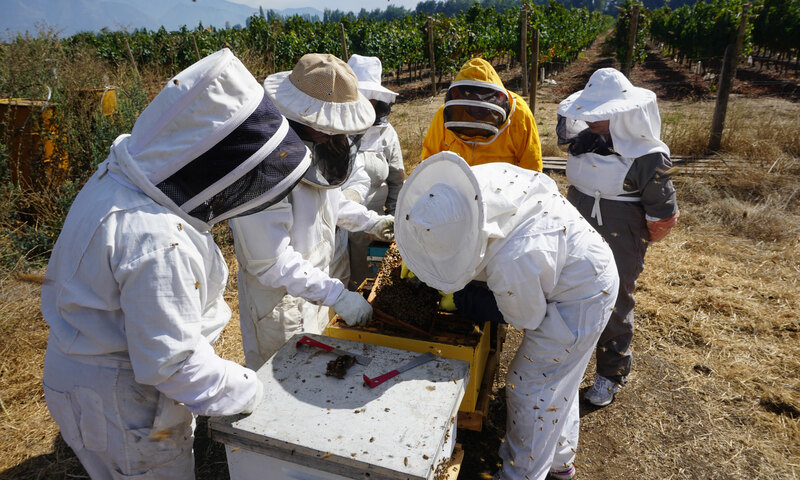 INSIGNIA involves the development of a protocol for a citizen science monitoring programme using beekeepers to collect biweekly pollen samples from honeybee colonies for analysis for pesticide residues and botanical origin. In the first year, in four EU member states representing all authorisation zones, monitoring using the well-established technique for collecting pollen samples using pollen traps, will be compared with two innovative techniques: the collection of beebread using a novel sampling device, and the use of passive in-hive sampling devices. ApiStrips arrived and will be send out to participants! An article introducing the INSIGNIA project recently appeared in the March 2019 issue of the Scottish beekeepers’ magazine: Alison Gray and the INSIGNIA Consortium, “Introducing INSIGNIA (environmental monitoring of pesticide use through honey bees”, The Scottish Beekeeper, 93(3), pp. 111, 113, 114. To stay informed or participate in our project as citizen scientist, you may wish to subscribe our newsletter by typing in your email in the field below.